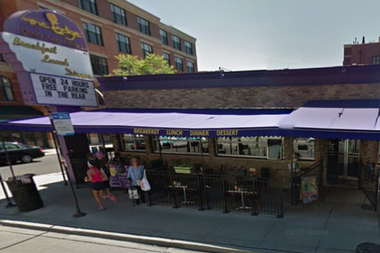 The development would replace Edge Bar And Grill, 2720 N. Clark St.
LINCOLN PARK — A small, private school could be coming to Clark Street in Lincoln Park. Developer Centrum Partners and Altschool want to build a two-story, mixed-use development complete with ground-level retail and a private school with students ranging from kindergarten to eighth grade at 2720 N. Clark St., where The Edge Bar and Grill is currently located. The plans include a private school holding up to 150 children on the first floor and approx. 9,000 square feet of retail space on the ground level, as well as five parking stalls, Ald. Michele Smith (43rd) wrote in a newsletter to constituents. A zoning change is needed to move the project forward. Currently, the property is zoned for a shopping district, but it needs a "special use" zoning designation for a school to be built. Representatives from both organizations will share their vision for the project at a community meeting Monday at Alcott College Prep, 2625 N. Orchard St., beginning at 6:30 p.m. So far, no approvals have been granted, Smith said.